Think you can do better? 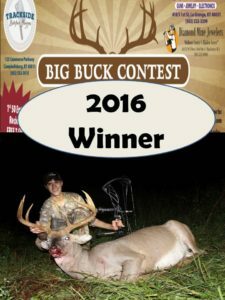 The next contest begins with the opening day of bow season and will run until December 31st, 2018. The first 50 entries will get a free t-shirt and the winner gets a FREE RIFLE! Good Luck! Contest will run from the beginning of bow season to December 31st 2018. We know the season is longer but that’s the way we want to do it. 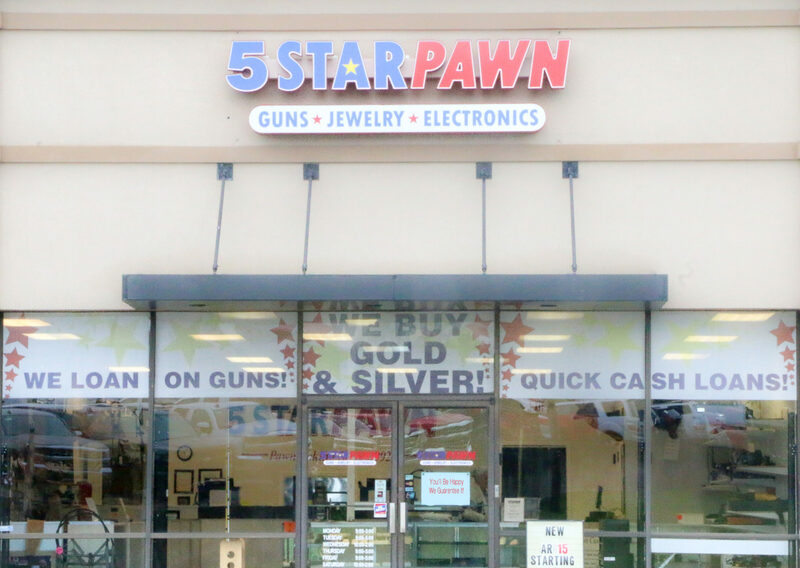 All entries must be brought to 5 Star Pawn, Trackside Butcher Shoppe, or Diamond Mine Jewelers before December 31st 2018 to be eligible. No emails or texts. You may bring them on an SD card or on your phone and send it to us. 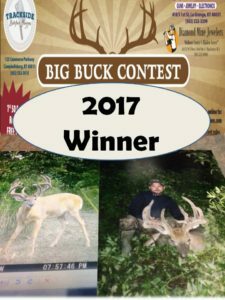 All entries must be from a deer legally harvested in Kentucky between the contest dates and the entrant must be in the picture. Each entry must have a confirmation number. We are operating on the honor system here. Let’s keep it truthful. 5 Star Pawn, Trackside Butcher Shoppe and Diamond Mine Jewelers management will determine the winner from the pictures, simple and easy. All legal means of harvesting a deer will be eligible, modern gun, black powder, crossbow and compound bow. 1st 50 entries will receive a free t-shirt. Once they’re gone, they’re gone. The winner will receive the free rifle. No other prizes will be awarded. The free rifle will be a Savage Axis most likely or something equivalent. The winner will be able to pick the caliber of their choice based on availability. No scope included. Winner must fill out ATF form 4473 and be approved to own the gun. You gotta pass a background check.